12 March, 2017, Cairo, Egypt: A range of 23 distinguished names are in the running for the 2017 Cityscape Egypt Awards, which recognises outstanding concepts in real estate development and architecture – from culturally integrated city skylines to sustainable urban communities in Egypt. Six judges, three from Egypt and three from Dubai, have shortlisted a diverse group of nominees, who will now vie for top honours at the glitzy Awards ceremony, sponsored by JLL, on 28th March at the Royal Maxim Palace Kempinski Cairo. Serving as a prestigious platform to showcase future visions of urban communities in Egypt, the Awards celebrates excellence in real estate development and architecture, by honouring design visionaries and forward-thinking leaders who are pioneering projects that are invigorating the country’s real estate sector. Preceding the Cityscape Egypt exhibition, which takes from 31st March until 3rd April at the Cairo International Convention Centre, the Awards features seven categories across the following sectors: Commercial; Leisure & Hospitality; Community, Culture & Tourism; and Residential. Shortlisted in the Residential Low Rise Project Award – Built category, is Uptown Cairo by Emaar Misr for Development. Uptown Cairo is the only integrated mixed-use development in the heart of Cairo and is situated on the highest site in the metropolitan area at a height of 200m above sea level. Home to villas, apartments, healthcare facilities, business centres and an award-winning golf clubhouse, Uptown Cairo will have an estimated 200 homes by the end of 2017. In addition, Emaar Square within Uptown Cairo, is slated to be the first luxury retail destination in Cairo, modelled after Beverly Hill’s Rodeo Drive and the Champs Elysees in Paris. Meanwhile, Aspen Consultancy and Development have been nominated in the category Residential High Rise Project Award – Future for its project Cairo 111, designed by Broadway Malyan, and Gensler. The game changing mixed-use development, which will be highlighted at this year’s exhibition, aims to replenish the old Nasr City by reviving the community through a well-planned, people-centric alternative to overcome some of the urban challenges in the city such as traffic and congestion, and ageing retail space and consists of residences, commercial offices, clinics, retail, a ground level courtyard and a roof top park. In the running for the top prize in the Leisure & Hospitality Project Award – Built category is Telal Al-Alamein, from Rooya Group for Real Estate Investment with architect Ökoplan Engineering Consultations. 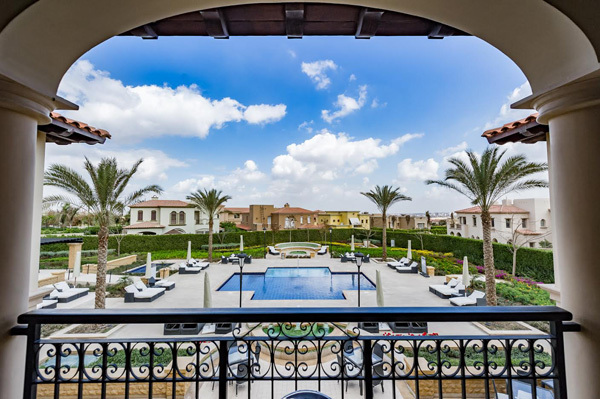 Located on the North Coast, 142 km west of Alexandria, the Mediterranean resort enjoys a 1.5km seafront with 976 villas and chalets, 13 swimming pools, a hotel, and an entertainment and sports area. 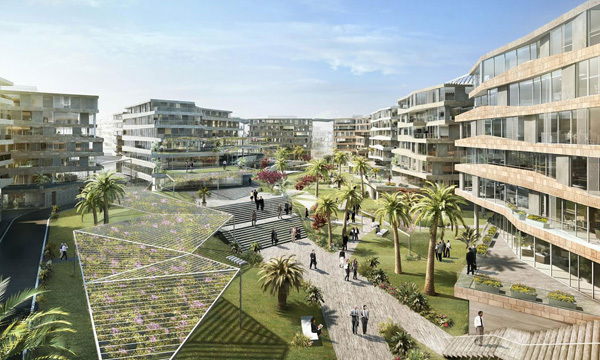 Using innovative features, the development contains a water desalination plant, LED lightbulbs, and the use of smart technology to track and monitor the compound to increase savings of natural resources. Hoping to win the Commercial Project Award - Built category, is The Polygon from developer SODIC and architect Wilkinson Eyre. The Polygon is the first business park in Westown and SODIC West, and is an unconventional development with an asymmetrical shape and considered one of Cairo’s most unique office parks. The Cityscape Egypt exhibition will have over 90 exhibitors, including 20 new exhibitors, when the show kicks off later this month at the Cairo International Convention Centre. Egyptian-based developer, Misr Italia will be this year’s Associate Sponsor and will highlight a range of their developments. Some of the exhibitors at this year’s event include: Al Arabia Real Estate Development (ARCO), Palm Hills, PACT, Aloula Tameer For Mortgage Finance, Aristo Developers, Beta Egypt for Urban Development, Brouj Property Management, Capital Group Properties, Egyptian Engineering Development and Real Estate Investment, El-Batal Group, Emaar Misr, Invest4Land (API Investment), Madaar Development, Pandora Investments Public Ltd-Leptos Estates, Rooya Group, Talaat Mostafa Group Holding, Tatweer Misr, Trends Real Estate, and Wadi Degla Developments to name a few.